Arsenal and Tottenham Hotspur have released a joint statement urging supporters to behave during their match this weekend. The presence of former Arsenal striker Emmanuel Adebayor in the Tottenham line-up is one o the principal reasons for the statement. Adebayor left Arsenal for Manchester City under something of a cloud in 2008 and enraged the Gunners fans in his first live football match against them when he ran half the length of the pitch to celebrate in front of the supporters during a game at the Etihad Stadium that September. The Togo striker also raked his studs of Arsenal striker Robin van Persie in the same game, further antagonising the Gunners fans, who have since subjected him to abusive chants ever since. "Ahead of Sunday's game, both clubs are actively encouraging all fans to focus on getting behind their team and enjoying what promises to be a great match," read the statement. "A north London derby is always a special occasion and we hope this game will be remembered for both the action on the pitch as well as the positive support for both teams off it. "All fans should be aware that breaches of ground regulations - including anti-social behaviour - will not be tolerated." The game also has added spice given Spurs are in the hunt for the title for the first time in 20nyears. Arsenal meanwhile are in something of a mini-crisis after a 4-0 hammering at the hands of AC Milan in the Champions League and being dumped out of the FA Cup by Sunderland. They still have s slim chance to stay in the Champions League, but it would take an almighty effort to turns the four goal deficit around, with their lengthy odds in the champions league betting reflecting this. For Tottenham fans this season has been the one they have waited years for. Under the guidance of Harry Redknapp they are launching a sustained title bid while their north London rival Arsenal appear to be in something of a mini-crisis. 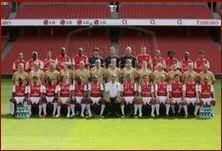 A perceived lack of investment in the playing squad has seen the Gunners decline as a Premier League force in recent seasons. They are also huge outsiders in the Champions League betting to progress to the next round following a 4-0 spanking at the hands of AC Milan in the first leg. Throw in a FA Cup defeat at Sunderland and it means their hunt for another trophy will extend into an eighth year, something totally unacceptable to a fanbase who has grown used to success under Wenger..
With their participation in next season’s Champions League under threat, their perilous grip on fourth could be broken by their bitter rivals this weekend, with Tottenham arriving at the Emirates Stadium. Arsenal have usually had the upper hand in these contest in the last decade, but recently things have changed and it will be a nervy crowd who watch football live at the Emirates and one that may may turn on the side if things do not go their way early on. 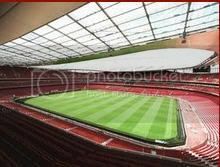 An Arsenal supporters trust meeting took place this week and was scathing about thecurrent Gunners set-up. "More infrastructure is needed around Arsene Wenger, or whoever the manager is," an AST spokesman said. "It's a set-up dating from 1996, but without [former vice-chairman] David Dein. "Did the manager have the option to use all or some of these cash reserves in summer 2011 and January 2012, or are resources being held back as a contingency for failure to qualify for the Champions League? All these questions again raise doubts as to the future of Wenger, with many pundits suggesting his reign has gone stale and a fresh injection of new ideas is needed to reinvigorate the club. A win over bitter rivals Spurs may given the Frenchman some breathing space as he doggedly tried to turn the club around. But a defeat could make his position, occupied since 1996, look very shaky indeed. Arsenal midfielder Mikel Arteta has insisted his side still have a chance of reaching the Champions League quarter-finals despite their heavy defeat at the hands of AC Milan. The Gunners failed to show up in the last-16 encounter at the San Siro, and in a game with very few chances for the north London outfit, they went down 4-0 to the Serie A title holders. Arsenal would have to perform a feat that has not been accomplished in the Champions League by overturning a four goal deficit over two legs, when they play the return fixture at the Emirates. People who bet on Champions League games will know the side have a huge task. The former Rangers playmaker has admitted the newly laid surface at the San Siro did not help matters in the defeat on Wednesday night but has insisted the players have to take responsibility for the poor performance in Italy. People looking to bet on Champions League winner should remember this. Arteta told the Evening Standard: "There is nothing we can do about the pitch. It was absolutely awful - you had no control at all. They are more used to it because they play here every week but I don't think we need excuses. "They were the better team and deserved to win. We go to London with a really disappointing result. Arsenal will have the chance to make up the deficit when the two sides meet again on March 6 but the Gunners will have to turn their attentions back to their Premier League campaign in the meantime, with crucial games against Tottenham and Liverpool. Arsenal boss Arsene Wenger is backing club legend Thierry Henry to leave on a high as his loan spell comes to an end against AC Milan. The New York Red Bulls star will return to America following Arsenal’s Champions League last-16 clash at the San Siro. Wenger is backing Henry to make the difference again after two late winners during his second spell at the club. "He can do it again. He will be highly motivated because he started his international career in Italy," Wenger said. The 34-year-old Frenchman left his homeland for Juventus in 1999 but didn’t have the best of times in Italy. A move to London brought Henry’s career to life. After hitting a club record 226 goals, Henry spent some time at Barcelona before moving across the Atlantic. He returned "home" in January on a two-month loan deal, a deal which was cut short by the MLS outfit. Henry has fond memories of the San Siro. He scored a hat-trick in Arsenal’s emphatic 5-1 victory over Inter Milan on his last visit there so romantic punters who want to bet on the Champions League may want to back him to do so again. Arsenal have a good recent record in Italy but are not the favourites in the football betting given Milan’s good form on their own turf this season, but Wenger is urging caution ahead of the tie against the Serie A leaders. "It is a game for me that is a real 50-50. 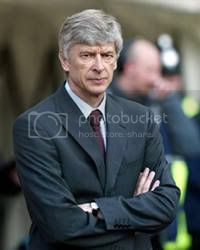 It is very important to not let them get on top of us, and to start strong will be very important for us," Wenger added. Conversely, AC Milan have come unstuck against English opposition at this stage three times in the last four seasons and fell to defeat against Tottenham Hotspur last year. Milan boss Massimiliano Allegri is out to avoid a repeat this time around. "We need to have a game of great intensity, and we can't give them chances to counterattack because that is their strength," he said. Arsenal strengthened their top-four hopes with an impressive 2-1 victory at Sunderland as the sides around them faltered. It was a perfect weekend for Arsene Wenger's men after Chelsea, Newcastle United and Liverpool all lost. Arsenal leapfrogged Chelsea and Newcastle to take pole position in the race for fourth spot. The Gunners travelled to a Sunderland side unbeaten at home under Martin O'Neill and looked to be heading for defeat when James McClean gave the hosts a second-half lead. People who bet on Premier League games may have been expecting a shock. Aaron Ramsey put Arsenal back on level terms five minutes later, before Thierry Henry signed off with an injury-time winner. The Sunderland game was Henry's last in the Premier League before returning to New York Bulls. Chelsea were without a win in four before their clash against Everton at Goodison Park and found themselves behind when Steven Pienaar fired into the roof of the net after five minutes. Denis Stracqualursi sealed the win in the second half to dent Chelsea's Champions League hopes. Chelsea's defeat opened the door to Newcastle but they were taken apart by a rampant Spurs side at White Hart Lane. Fans of Premier League betting predictions should remember this. Goals from Benoit Assou-Ekotto, Niko Kranjcar and a Louis Saha double gave Spurs an unassailable 4-0 half-time lead. Emmanuel Adebayor capped off a fine individual performance with a fifth after the break to leave Newcastle stunned. Liverpool started the weekend the lowest placed of the four sides and that is where they finished it after a Saturday lunchtime defeat at Old Trafford. In a game again dominated by Luis Suarez and Patrice Evra, Wayne Rooney was the hero for Manchester United with a precious double. Suarez grabbed a late consolation for Liverpool. It has been another tough season for Arsenal, but there is light at the end of the tunnel. Arsenal will welcome back Gervinho for their FA Cup clash with Sunderland on Saturday, following the forward's return from the African Cup of Nations. The Ivorian has been integral to his country's progression to the final of the tournament, scoring the winning goal in the semi-final victory against Mali. Arsene Wenger revealed the forward would be back and available for selection for what is sure to be a tough fifth round clash against an ever-improving Sunderland side, one which has looked capable of beating anyone on their day since Martin O'Neill took over. "I have Gervinho on the phone and sent him some messages a few times," he said. "He plays in the final and you know what the rule is - 48 hours later he has to be back. I see him playing on Saturday, not on Wednesday." Gervinho may have to earn his place back in Wenger's first team, following the impressive impact Alex Oxlade-Chamberlain has made since bursting into the side. The youngster has stepped up and filled in for the absent Gervinho, exciting the Arsenal fans with a string of sensational performances over the past few weeks. Although Arsene Wenger clearly thought it was the right decision to rule that this January wasn’t the right time to get seriously involved in the transfer market, with the not particularly notable exception of a player nobody has ever heard of apart from perhaps a few Premier League scouts, the Arsenal manager has arguably hammered the last nail in a coffin that he has been building since he failed to turn his "kids" project into a trophy-winning one. The decision from Wenger not to enter the market may well have been based on the idea that there is normally very little value in the market during January, as well as the notion that in order to add to his squad he would perhaps have been forced to sell first. However, this does not excuse the Arsenal manager's decision to leave his team in no fit state to challenge for that vital fourth place. Those looking at the Betfair football betting odds will be wondering how well they can do. Having now seen Jack Wilshere injured, and likely to sit out the action until the end of the season, and surely knowing all too well that Abou Diaby (remember him?!) is a) rubbish and b) always injured, Wenger now only really has four players able to be selected for midfield duty. Furthermore, one of those players (on loan Yossi Benayoun) seems not to be favoured by the manager, despite having been brought in specifically to bolster the Gunners squad for the rest of the season. All of this adds up to suggest that the Gunners now look like an outfit that is just one injury away from becoming a mid-table side. People following the Champions league betting will also have doubts about their ability to progress in that competition. With the Gunners fans already angry at Wenger, the last chance he had to save himself at the Emirates may have just come and gone without the Frenchman realising it.